Those who still tightly clutch their BlackBerry Bolds for its hard keyboard, shortcut keys, and trackpad will be encouraged by yesterday’s blog post from BlackBerry CEO John Chen. In it, he hints at what to expect from the forthcoming BlackBerry Classic device. 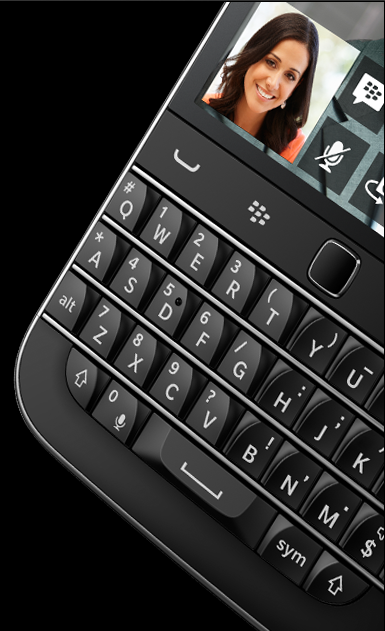 The BlackBerry Classic will have all the physical buttons that BlackBerry Bold had – four navigation buttons and a touch track pad too. The device will have a bigger screen than the Bold. It will also be higher resolution. Of course, it will feature BlackBerry 10 with the Hub and Blend features incorporated in that. BlackBerry CEO John Chen’s blog post included this teaser image of the new Classic device. With the Passport, BlackBerry showed it wasn’t afraid of going in a completely different direction from other smartphone manufacturers in its hardware strategy. With a focus on pure productivity and especially around those who type a copious amount on their devices, Chen is carving out a niche market space for BlackBerry’s hardware that perhaps others are missing. As far back as the BlackBerry Storm release, fans of the Canadian firm have bemoaned moves to imitate better-selling devices with big touch screens and no physical keyboard. By going back to the core design that was embraced by its users enthusiastically, BlackBerry may not be pushing into new market space – but instead digging into its established base.